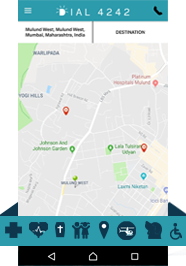 Our user app connects the customers to the nearest ambulance service providers. It will help users to book & track an ambulance, get estimated fare/time to reach, digital payments etc. 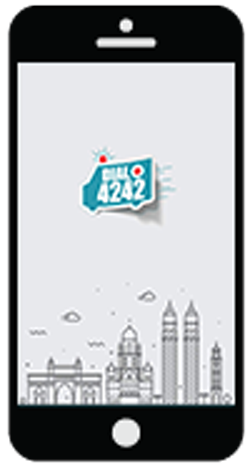 Dial4242 is a fully integrated mobile platform which will allow the Users to book an ambulance on the go. It also has very useful features for tracking an ambulance, getting pre-estimated fare and making payments through digital mode. Dial4242 takes the fare negotiations with the ambulance service providers out of the equation. It also allows the users to track the ambulance real time. Users can book an ambulance through Dial4242 mobile app and have a hassle-free experience to their destination...while we take care of the rest! Select the type of ambulance you need, set your pick up and drop locations. Get the nearest ambulance and the price estimate. 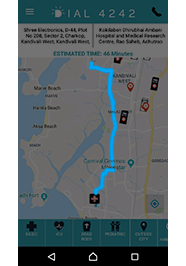 Track your ambulance in realtime within the app. 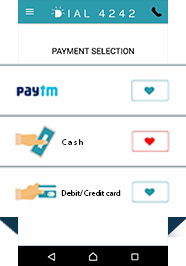 Pay by cash or digital wallet. 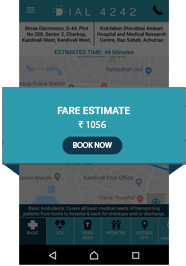 Our Owner App allows the Owner of the ambulances to track their vehicles, view all the trips done by their drivers and make digital payments. Helps the ambulance owners track their own ambulances. To keep a billing record of their ambulances on a regular basis. DIAL4242’s Driver App allows the ambulance drivers to receive the fare requests from the users. They are able to check the best route to the destination and also check the fare history, amount payable/receivable on their mobile phones.